An attractive pair of garlands with an interesting combination of roses and lilies. 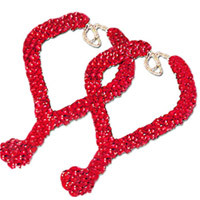 Wonderful gift for all special occasions and celebrations. Note: Flowers may vary slightly from the image depending upon the local availability. 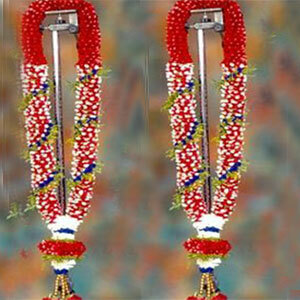 fresh Mixed flower garlands make all the difference for weddings and special occasions. .
Yellow & Orange Roses Garland. 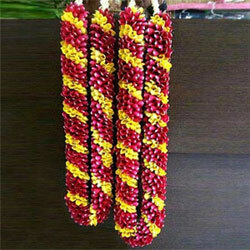 The varmala exchange ceremony is an important ritual in Indian marriage ceremony. Yellow & Orange Roses Garland. Lily and Orange Rose Garland. Orange Roses Petals, Lily & Garland perfect to offer you a graceful look on your special day. .
Red and Orange Rose Garland. 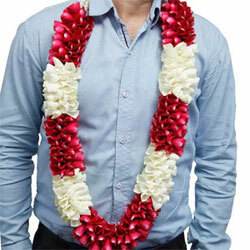 This floral garland embedded with red and orange roses is perfect to offer you a graceful look on your special day. .
Red and White Flower Garland. 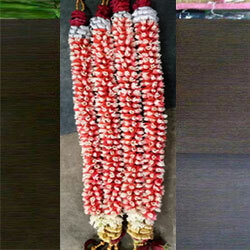 This is made with red and white rose and white pearls, prettily clustered together to form attractive garlands.. 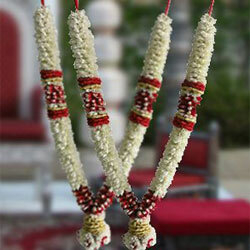 The varmala exchange ceremony is an important ritual in Indian marriage ceremony. 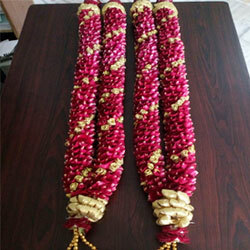 Make this moment even more special with this gorgeous varmala adorned with red and yellow roses..
Red & white rose petal Garlands. Red & white rose petal Garlands Note: Flowers may vary slightly from the image depending upon the local availability . 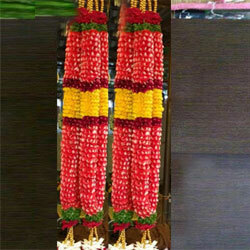 Pair of Rose Petal folded Garland. The beauty of thousands of rose petals folded comes in the shape of lovely garlands for special occasions like engagements, marriage receptions or any felicitations. 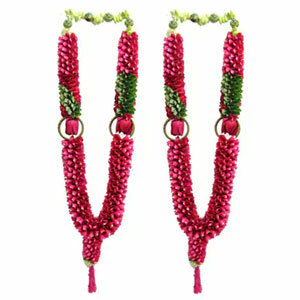 Richness of these roses enhanced with the use of pearls. Note: Flowers may vary slightly from the image depending upon the local availability . 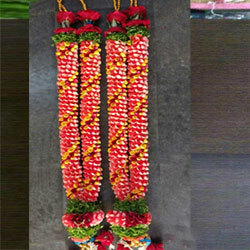 Pair of Rose Petal Garlands. 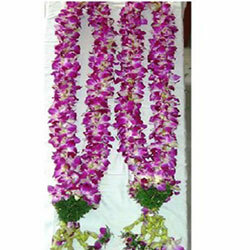 The beauty of thousands of rose petals comes in the shape of lovely garlands for special occasions like engagements, marriage receptions Note: Flowers may vary slightly from the image depending upon the local availability. .
orchids clustered in the shape of lovely garlands is perfect for a special occasion like an engagement, marriage receptions or felicitations. .